Christmas Projects Start Early . . . I didn’t realize how fast time was going by until the organizer of the craft fair at our parish called to remind me that December was around the corner and was I going to have a table to sell my crafts and kitchen treats. That got me making lists and sewing. Tote bags usually sell well so I designed and sewed some new styles with pockets and one-of-a-kind appliques on them. Fortunately, the embroidery aspect of my sewing machine is in good working order so I could add some uniqueness to each tote bag. 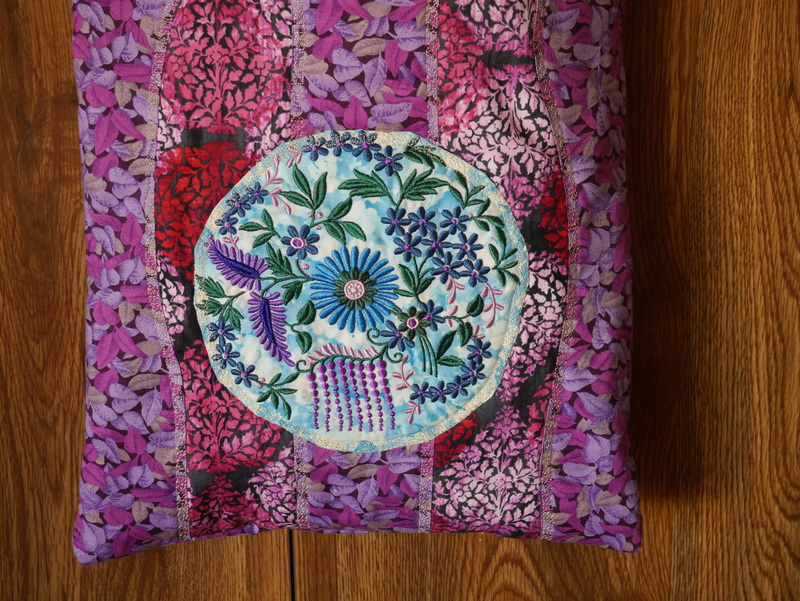 Annual Craft Fair – Where Did the Year Go? It seemed like I had all the time in the world until December and the church’s annual craft fair. Wasn’t it just yesterday when I packed up from the fair? Sunday, the fair is happening, again. I mostly have things prepared but still too many loose ends to be totally comfortable with the looming Sunday date in front of me. 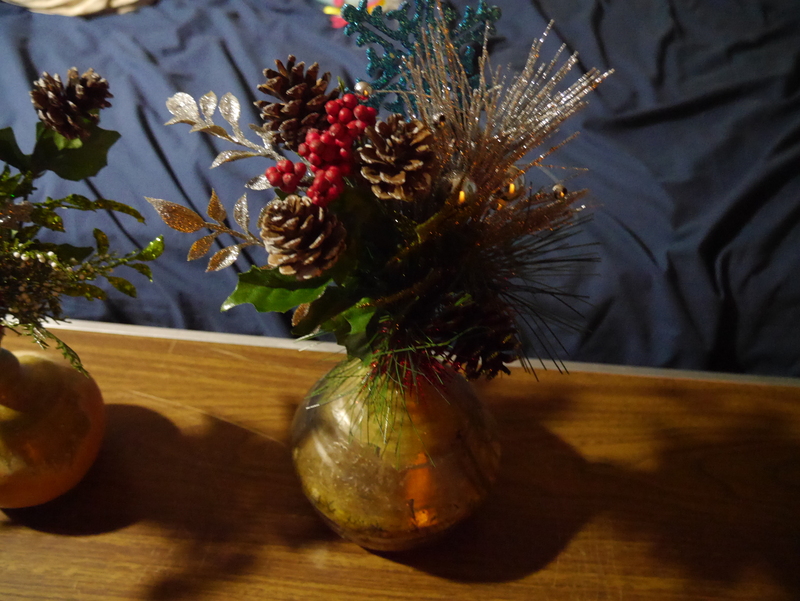 Thanks to my daughter, however, she gave me several of her hand-thrown pottery vases to incorporate into a Christmas item. 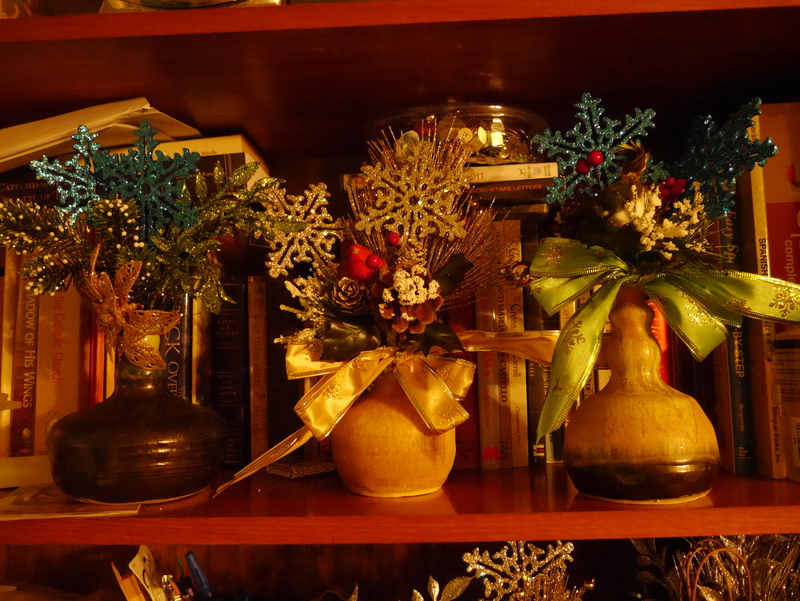 The rustic look of the vases shows up the Christmas glitz and foliage. Artificial by necessity but, in my humble opinion, it still looks marketable! Need to add the final touches as in Christmas bows. Christmas Crafting . . . Getting an Early Start! 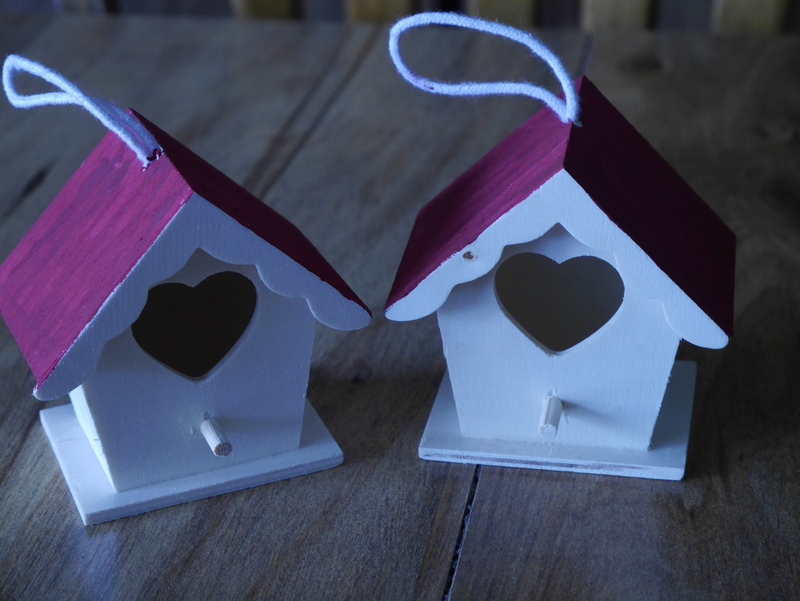 Took a day off from the regular ‘fun’ work of laundry and cleaning to get a head start on painting tree decorations for the December Christmas Fair. Since no one is really looking for Christmas items now, I’ve been finding some good bargains on stock sell outs. My problem project was getting my tiny house decorations to look like what my mind was imagining they would look. Often the hand controlling the paintbrush isn’t always in line with what my mind proposes. Today, I finished them down to finding a birdie resident for each. 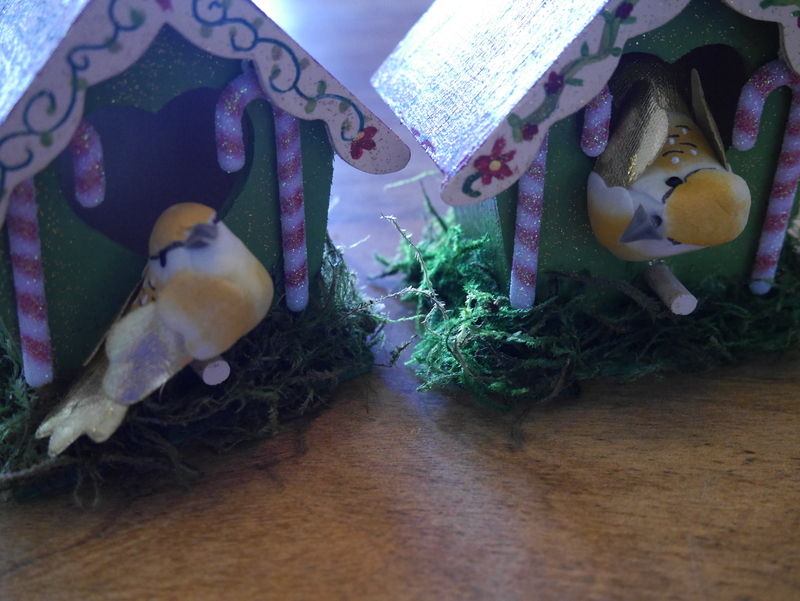 After searching high and low for an inexpensive bird to finish the effect, I went in desperation to The Dollar Tree . . . and found the exact size, color, and shape I wanted and for a lot less expensive than the craft stores. It doesn’t make sense to put more than a dollar into a decoration you can’t sell for more then $5 come the day of the sale. These were two for a dollar! 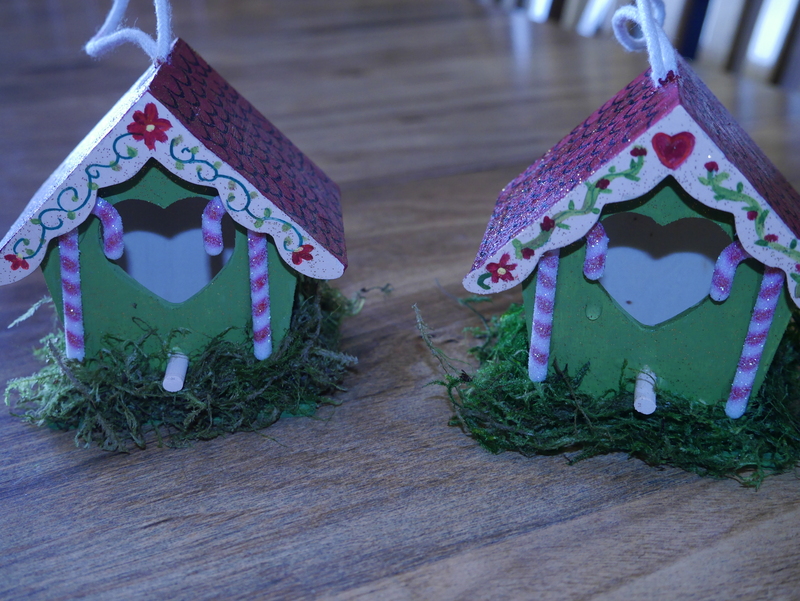 Christmas Bird House decoration – initial effort! Further enhancements . . . better. Finished project and the new inhabitants looked pleased with their new abode!